The Competition and Markets Authority (CMA) has been working with the Gambling Commission of Great Britain to prevent online gambling operators from using unfair terms and conditions in their promotions. Yesterday (February.1st) The CMA issued another update on its investigation into the online gaming industry saying that customers should always be able to access and release their own money when accepting bonuses. This is something that OJO has practiced from day one. Unfair play is something that OJOs has stood against from the very beginning. OJO recognized that players deserve a fairer casino experience. That’s why OJO is the first online casino ever to have no wagering requirements. Your cash is your cash at PlayOJO, you can play it or withdraw it whenever you want. PlayOJO has never had hidden terms and unfair restrictions. 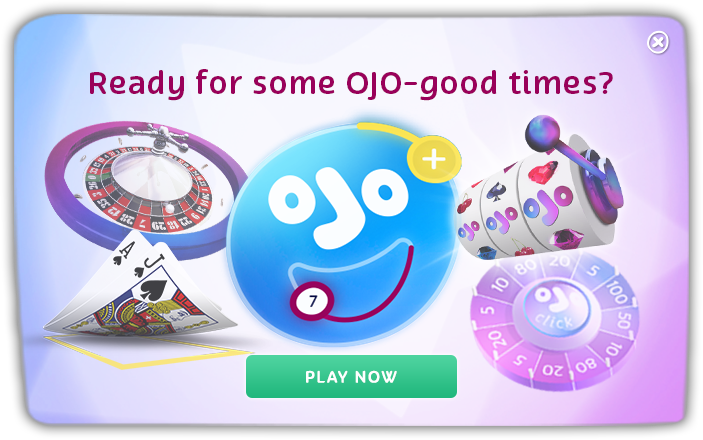 OJO has always been the fair casino – it’s real money and real play at PlayOJO.com. “We back the action taken by the CMA today. Gambling firms must treat their customers fairly and not attach unreasonable terms and conditions to their promotions and offers. Will other casinos now follow OJO’s footsteps to offer fair bonuses? OJO hopes so!